Wipro Infotech, the India and Middle East IT Business unit of Wipro Ltd, has won a three-year strategic managed services contract from banking group Emirates NBD to deliver end-to-end service transition and transformational services. This includes maintaining the banking group's IT systems through a managed service framework comprehensive help desk and field support services, a joint statement by the two companies said. It will make the processes more streamlined thereby allowing the bank to offer better services to their end customer. Emirates NBD is a banking group and a market leader across core business lines and is the leading retail banking franchise in the United Arab Emirates and is also a major player in the corporate banking arena. Wipro will support both physically and remotely all Emirates NBD's offices in West Asia and many of its international offices through a remote support model. 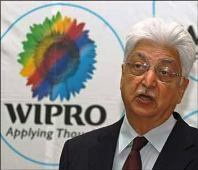 Wipro will also maintain and manage more than 8,000 assets of the organisation. "As a part of this initiative 30 Emirates NBD employees will be transitioned into Wipro through a seamless process," said the statement. West Asia is a focus market for Wipro and managed services is one the offerings which has been adopted by clients across segments. "This is a very strategic engagement for us in the region and we are excited at this opportunity to be a partner to ENBD. "We are confident of enabling ENBD to achieve their objective of adopting global best practices for higher productivity and providing better services to their end customers," Mukund Seetharaman, General Manager & Business Head-Gulf, Wipro said. According to Ali Sajwani, CIO of Emirates NBD, banking is a dynamic sector and technology contributes to competitive advantage. "Emirates NBD is focused on a transformation program aimed at improving IT effectiveness and efficiency. "Wipro with its global expertise and capabilities in the banking sector is a perfect partner of choice. . .
". . .we are confident this partnership will enhance service levels on core IT activities, improve delivery time of projects and most importantly focus on delivering initiatives aligned with the Bank's strategic direction," Sajwani said.